Make stunning flyers to gather more people to the Easter egg hunt flyer event. Finishing such a kind of design is no longer a difficulty even for these people who are not good at graphic design. 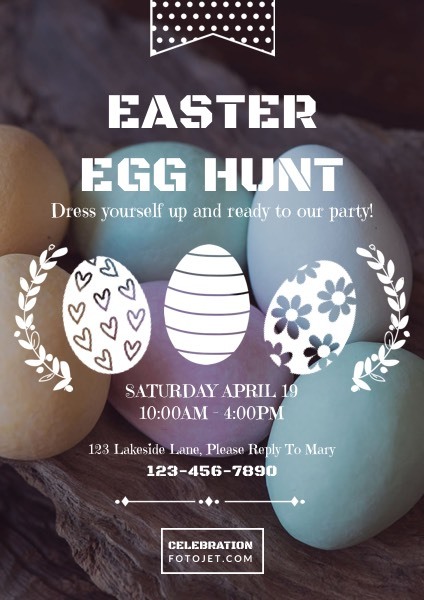 This Easter flyer template, with colorful Easter egg background photos and cute egg clipart images, is a great fit for creating Easter themed design. Just add your information to get your own Easter egg hunt flyers. Then hand it out to gather people together to live out the joy of this Easter holiday.